The first dance is a great chance for you and your new husband to share some precious moments together – even if all the guests’ eyes are on you! Check out this first dance guide if you want to hit the dance floor in style. There are plenty of dance schools that have expertise in pre-wedding lessons, and often offer packages designed to help get you up to speed for your first dance, with first dance tips and advice. With a revival in the popularity of ballroom dancing, increasing number of couples are choosing to take dance lessons before their special day, in order to ensure their first dance is a joy rather than a burden. 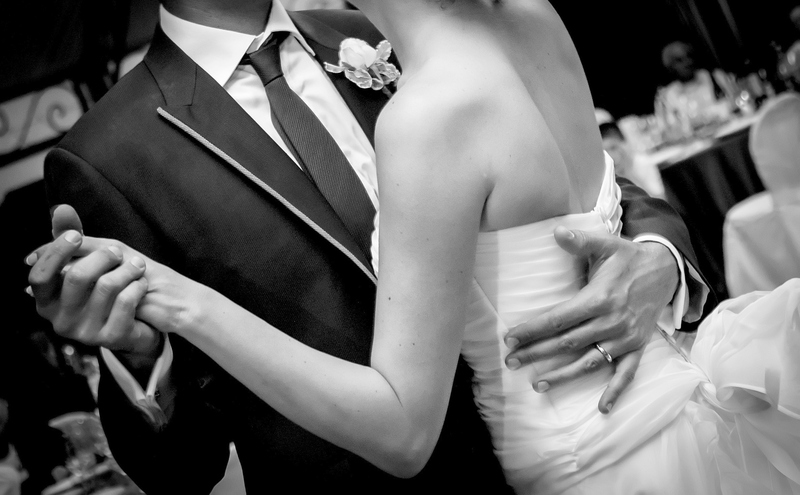 If you have a specific song in mind for your first dance, an experienced dance teacher will be able to provide you with ideas for the best type of dance to go with the tune and can propose steps that naturally relate to the tempo and feel of your song. They will also be upfront enough to let you know if ‘your song’ really doesn’t provide enough of a beat for a dance routine, and perhaps would be better played during the cake cutting instead. Perhaps you would rather select your dance type first, and then work with a dance studio to find the perfect music to go with it. A dance teacher can simply teach you the basic steps of a dance, or can choreograph a whole routine for you to astonish your guests. Don’t be afraid to be a little adventurous with your dance, you don’t have to choose a classic waltz – you could have a go at a tango, foxtrot or American Smooth. Just keep in mind any elderly relatives if you’re thinking about going with a full on raunchy rumba! Do we really need a first dance? Apart from the official ceremony there are no essential parts of a wedding and the first dance is no exception, but it is a fantastic way to ensure you will spend at least a few minutes with your new husband at your reception. If you really don’t want to have a formal dance, you could just move around in each other’s arms to your favourite tune for a minute, and then ask other couples to join in. You can plan an entirely dance free wedding if you want, but you may need to deal with a lot of disappointed guests who look forward to the first dance as a highpoint of the big day. You will also be disappointing some members of the bridal party. Your father will most likely be hoping for a father-daughter dance, and your fiancé’s mother will definitely want to dance with her son. A wedding is a once in a lifetime chance to take to the dance floor so you shouldn’t disregard the importance of your first dance. Whether or not you have danced before a few lessons should help you to perform a simple routine that fits with your music selection, your personal style and tastes, as well as your dancing abilities. Working with a professional dance teacher will provide you with the confidence to enjoy your first dance together with your new husband instead of constantly worrying about tripping up or standing on his toes.